Chinese 8 Ball Pool is set to sweep the globe, combining snooker tables, American size balls and English 8 ball rules the game appeals to all cue sport fans. Interest free finance available, subject to acceptance. At Home Leisure Direct we offer a fantastic selection of Chinese 8-ball pool tables, with a stunning range of models available at the best prices. Our award-winning team are experts on every aspect of pool, and can advise you as much or as little as you need on your purchase. Our service is unparalleled and our staff have many years of experience between them. All of our Chinese 8-ball pool tables are bespoke and built to exact specifications, and are of the highest professional quality. We can provide you with a range and choice that will provide you with the perfect table for your needs, whether you're looking for a traditional table or something with a more modern style. Chinese 8-ball pool is becoming more popular every day, with some of the world's biggest competitions now being held in China using 8-ball pool rules. In recent years Chinese 8-ball has dramatically changed the cue sports world, with its enormous tournaments offering huge cash prizes, and widespread coverage on live television. The three main cue sports are snooker, English pool and American pool, but Chinese 8-ball serves as a hybrid of all three; an 8-ball game, played on a 9ft table, with nap cloth and extremely tight pockets. 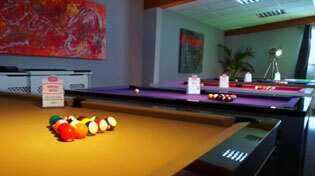 Every player of cue sports can therefore relate to aspects of the game, which explains its popularity. Five main tournaments (called the International Masters) offer large sums of prize money and are broadcast live on CCTV5, China's main sports channel. 70 million people in China now play Chinese 8-ball, including the UK's own Stephen Hendry who has been playing for a number of years. Other famous players of Chinese 8-ball include Mark Selby, John Higgins, Mark Williams, Ding Junhui and Neil Robertson. Chinese 8-ball has been described as the hardest of all cue sports to play, with the tactical play of other pool variants and the incredible accuracy required in snooker. This makes it appealing to anyone looking to prove themselves as a cue sport player. Stressful city centre driving and expensive places to park are not part of the Home Leisure Direct experience. Instead we have three converted stone built barns, one of which was an old milking parlour, in the idyllic countryside where you will be greeted by a member of our friendly, knowledgeable team with free parking right outside the door. We believe visiting us will be the most fun showroom visit you will ever have. Whether you’re looking for an English pool table, a pool dining table or one of our other fantastic games room products, we look forward to welcoming you soon with a freshly brewed cup of coffee and a truly enjoyable experience. Take our Showroom Tour to see what awaits you.